Tell your story through those who have been affected by your organization’s mission. 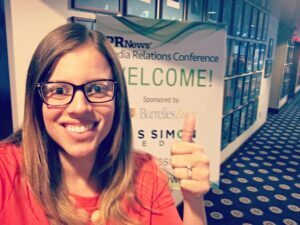 How do you work with brand evangelists to keep the PR momentum going? Our client Hera Labs is a nonprofit business accelerator that helps female-led businesses. Over the past few years, our PR firm has positioned Hera Labs founder, Dr. Silvia Mah, as a leading expert in entrepreneurship. Part of our approach has been to secure TV spots and op-eds for Dr. Mah, demonstrating her business expertise. Now that we’ve demonstrated Dr. Mah’s position in the media, how do we create new press opportunities for Hera Labs; opportunities that unveil the impact of the organization? WordPop is helping Hera Labs harness the power of the many people who have been bolstered by Hera Labs over the past few years. By engaging brand evangelists, we’re telling the Hera Labs story in new and interesting ways. Urban Translations, a technology startup, demonstrates the synergy power of this approach. WordPop was tasked with earning pre-event and post-event press leading up to Hera Venture Summit, Hera Labs’ annual event which brings together startups and angel investors. We’d been speaking with a contact at Huffington Post who covered the event the previous year, but her beat had changed to a technology focus. That’s when we brought Urban Translations into the story, illustrating how Hera Labs has helped tech startups on their way to success. Because Hera Labs gave Urban Translations the opportunity to get mentioned in the Huffington Post, when Urban Translations’ PR firm landed a story in San Diego Business Journal, the team, when interviewed, mentioned Hera Labs and its role in the organization’s success. By taking a “sharing” approach, both organizations earned two media placements instead of one each. Donation Match is an online platform that pairs those in need (like schools, PTAs and nonprofits) with those who have something to donate (usually corporations). We worked with Hera Labs to nominate Donation Match for a San Diego Daily Transcript Leading Startups award which they won. In addition, on behalf of Hera Labs, we connected Donation Match with the San Diego Business Journal, resulting in an excellent feature story. To return the favor, Donation Match mentioned Hera Labs in the story. Win-win! There’s strength in numbers: it’s much easier to illustrate a trend and “prove it” to a journalist when you can show multiple examples, not just the one example of your organization. “Roundup” articles are one technique we’ve found to be effective when pitching Hera Labs. In our pitch, we feature multiple organizations, business leaders or products that fall into a particular category, like women business owners or mom business owners. If you have any questions about how you might harness the power of brand evangelists, don’t hesitate to ask April. Brand evangelists can help you earn press and can earn press for themselves, too. Sara Chavez Joins WordPop Public Relations as Fall 2017 Intern. It is with great excitement that we welcome Sara Chavez to the WordPop team! Sara is a recent graduate of the University of San Diego with a bachelor’s degree in business administration in marketing, a minor in supply chain management as well as a concentration in French. Sara is eager to enter the marketing world and is especially interested in the realm of digital and social media marketing. She is a San Diego native, dog lover and WordPop’s fall 2017 intern. 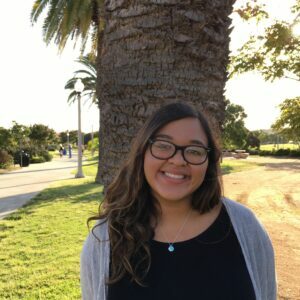 Sara is applying the skills she learned in school to her projects at WordPop and looks forward to gaining real-world experience through her hands-on internship. I shivered from the bone-chilling air as I pushed through lobby doors just blocks from the White House last month. After traveling to the 13th floor, I found a coat rack and deposited my peacoat (which, as a Southern Californian, I enjoy wearing once every few years), poured a hot cup of coffee, then entered the flag-lined walls of the National Press Club ballroom for eight hours of advanced media training at the PR News 2016 Media Relations Conference. We covered live video, prepping for media interviews, social media crisis communication and more. One of the highlights was a panel of journalists moderated by pitching expert Michael Smart. I found myself scribbling notes in my crisp, blush-colored journal. To my delight, the key takeaway was nothing new: In order to build authentic relationships with the media, influencers and your consumers, be considerate, honest and resourceful while delivering content that means something to them. Now that I’ve recovered from the jet lag and stale pretzels, I’ve transcribed the jottings from my now-tattered journal to this handy list, chock-full of tips for being a reliable publicist in 2017. Show, don’t tell. This tip comes from PR News panelist and Slate Magazine host Rebecca Sheir. Sheir expressed the importance of illustrating what your product, service or people do. For instance, at WordPop we work with a nonprofit that helps women launch or grow their businesses. To illustrate this, we pitch stories about the colorful day-to-day lives of female entrepreneurs. Where are they from? How did they get here? Get my name right. When you’re trying to build a relationship with a reporter or digital influencer, take the time to read what they’re writing about. If you’re certain your pitch or press release aligns with their beat and audience, then pitch. Acknowledge their work and for goodness sake, get their name right! Don’t be a bad egg. PR News panelist and The Washington Post Express reporter Kristen Page-Kirby said she gets 90 to 100 emails per day. She noted that there are days when she spots a couple of bad pitches and is inclined to keep clicking the delete button out of frustration. She noted that many PR pros aren’t very good at pitching, which hurts the entire industry. That’s why spending time on quality pitches is essential. Follow up. Sheir, Page-Kirby and fellow PR News panelist and Editor-in-Chief of Aviation Week John C. Anselmo all agreed that one email follow-up is appropriate. None prefer phone calls, which is consistent with the Cision State of the Media Report 2016 noting that 93 percent of reporters prefer email pitches, while about 2 percent prefer phone calls. Get social. Most reporters do not want to be pitched on social media, however 73 percent of reporters do use social media for relationship building, according to the Cision State of the Media Report 2016. If it feels like an unsurmountable task to build relationships with hundreds or even dozens of reporters, start small. Panelist and veteran PR pro Michael Smart suggests spending 80 percent of your time on your top 20 percent of influencers. Be colorful and concise. When pitching a reporter, use figurative and captive language in the subject line. Try to keep your message above the fold. Sheir noted that when using Outlook for email, she focuses on the content of the pitch that appears in the preview. The panelists agreed that a block of text is a bad idea when pitching. It’s better to break up the content into brief paragraphs and/or include bullets. Be relatable. When pitching a story to mainstream media, think about the reader. Meagan Phelan, executive director of the Science Press Package for the American Association of the Advancement of Science, said that her team creates infographics “no harder than a 5th grade level.” You or your client may be the leading expert in your field, but you must present your findings in such a way that people understand what you’re doing or offering. April Harter Enriquez is the owner of WordPop Public Relations, a full-service public relations firm focused on female-led startups, homebuilders, wellness experts and professional-service organizations. Enriquez is the immediate past president of the San Diego Press Club and can be reached at april@wordpoppr.com. According to The 2016 State of Women-Owned Business Report commissioned by American Express OPEN, between 2007 and 2016, the number of women-owned firms increased by 45 percent, while the number of firms in general increased by only 9 percent. WordPop is proud to be part of this statistic. I launched the firm in November 2011 with the intention of making PR less ambiguous and more accessible to business owners. Since then, our growing team of PR and social media consultants has helped organizations of all sizes, from nationally recognized homebuilders to female-led startups, healthcare providers and professional-service organizations. We’re proud to provide PR and social media services to champions of smart, healthy and happy living. Our services have resulted in TV, print and digital media placements, boosting our clients’ credibility, customer acquisition and community relations goals. In the past two years, we’ve expanded our firm across the southland, serving clients in San Diego, Los Angeles, Ventura and Santa Barbara counties. We thank our clients and are excited to continue positioning them as the newsmakers and industry leaders they are. We also applaud the tireless efforts of the many media colleagues we’ve worked with on stories or as active members of media organizations. Thank you. Here’s to many more years of collaboration and success! P.S. – If you haven’t claimed your celebratory WordPop-corn, visit our Facebook page for details. WordPop’s founder April Harter Enriquez spoke with USA Today about investing in yourself as an entrepreneur. April’s tip? Attend an out-of-town conference at least once a year to gain new skills and connections that will benefit you and your clients. Scroll below to read a clip from the article. Instead of using hours worked as a barometer for success, small-business owners should invest in themselves and their businesses will benefit, says entrepreneur and best-selling author Tony Robbins. “If you improve yourself, your skill, your ability, your talent, you’re going to be able to do things nobody else can do,” Robbins says. Robbins’ message rings true for April Harter-Enriquez, owner of San Diego-based public relations firm WordPop Public Relations. “It’s easy to keep recycling the same ideas, but as a business owner, you need to do more,” she says. She attends one out-of-town conference per year. The $1,500 she might spend on travel fees is well worth the knowledge she comes away with, as well as the valuable connections, she says. For example, a contact she met at a PR boot camp in Washington led to new media opportunities for her clients. 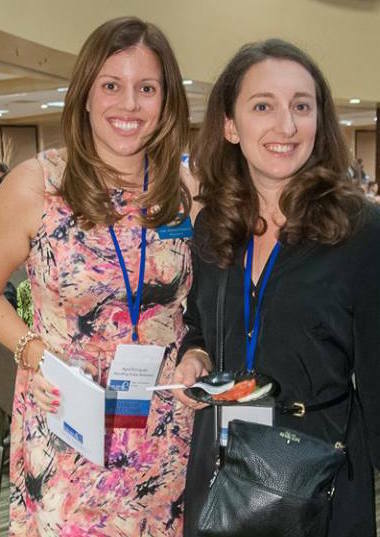 April Harter Enriquez (left) and Julia McCann stop for a photo at the 2015 San Diego Press Club Excellence in Journalism Awards, where Harter Enriquez was elected San Diego Press Club President. April Harter Enriquez, Founder and Lead Publicist at WordPop Public Relations, has been elected President of San Diego Press Club for the 2016 term. San Diego Press Club is one of the largest organizations of its kind with nearly 400 members including journalists and communications professionals. Throughout the year, the organization offers social and professional development opportunities, promotes integrity and ethics, and encourages collaboration between members. Harter Enriquez has been on the San Diego Press Club Board of Directors for more than five years. Her duties include leading the club in its forty-second year, organizing and facilitating events, driving club membership and participation, and fostering connections among members. The organization’s flagship event, the Excellence in Journalism Awards, is held each October and celebrates the best of San Diego journalism. Harter Enriquez was a second place winner for a bylined article in San Diego Metropolitan magazine. To learn more about San Diego Press Club, visit sdpressclub.org. To contact April, email april@wordpoppr.com. The company was recently a finalist in the San Diego Union Tribune’s San Diego’s Best 2015 readers poll in the insurance provider category – a testament to the company’s character and capability. Fusco & Orsini specializes in personal insurance for individuals and families as well as business insurance in a number of industries including food & beverage, construction, technology, auto repair, manufacturing, health care and startups. Fusco & Orsini’s co-founders Mike Fusco and Valerie Orsini lead a team of experts that continue their education through peer-to-peer presentations and by acquiring additional industry designations. The company is located in the Kearney Mesa neighborhood of San Diego, just off interstate 15. WordPop is assisting the Fusco & Orsini team with blogging, social media planning and execution, email marketing, and media relations. If you’re thinking about using PR to raise awareness about all the great things your company is doing, reach out to us for a consultation! We can assess your needs, identify your assets and tell your company’s inspiring story.